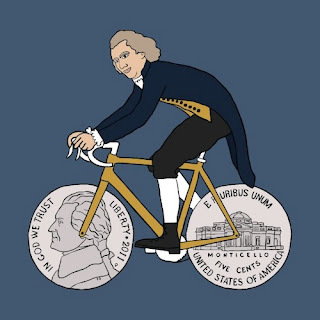 Thomas Jefferson prescribed to the belief that a "vigorous body helped to create a vigorous mind." Each day, with no concern of the weather, he would walk or ride (a horse...not a bike). "No less than two hours a day should be devoted to exercise, and the weather should be of little regard." He actually believed that the colder and wetter the weather was, the better. "A person not sick will not be injured by getting wet. It is but taking a cold bath, which never gives a cold to anyone. Brute animals are the most healthy, and they are exposed to all weather, and of men, those are healthiest who are the most exposed." It's a pretty safe bet that Mr. Jefferson would be out riding or walking today. As far as January weather is concerned, today's damp forty degrees is a significant upgrade over the ice box that we've endured the past two years here in south central Pennsylvania. Now, I must admit, that unlike Jefferson, I do have limits, and I've been suffering from a small case of cabin fever the past two weeks. My threshold for cold (usually about 25 degrees) and the persistent rainy weather has kept me off of my bike. I've be relegated to spinning on my old 2009 Specialized Allez that have set up in the garage. 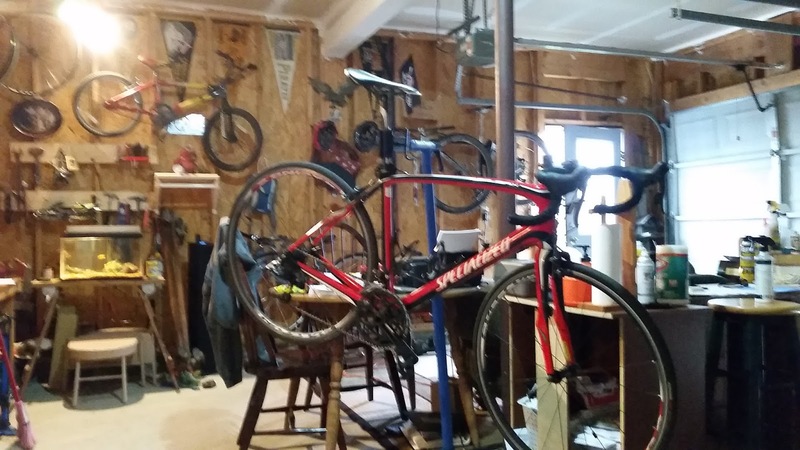 My wife, Robin was extremely kind to me when I moved in and told me that I could use the space in the garage for anything that I wanted. 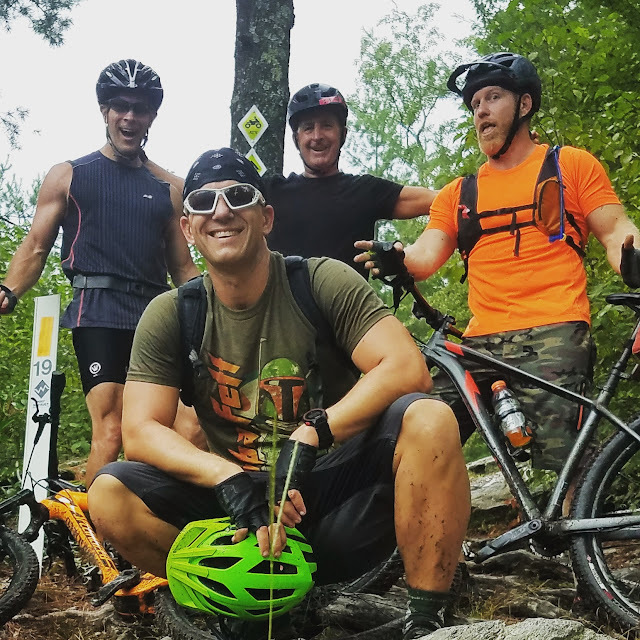 It has become the ALL TRAILS BICYCLE CLUB... my office and summer hang out. During the winter, I hook up a propane heater and spin while watching my favorite movies. 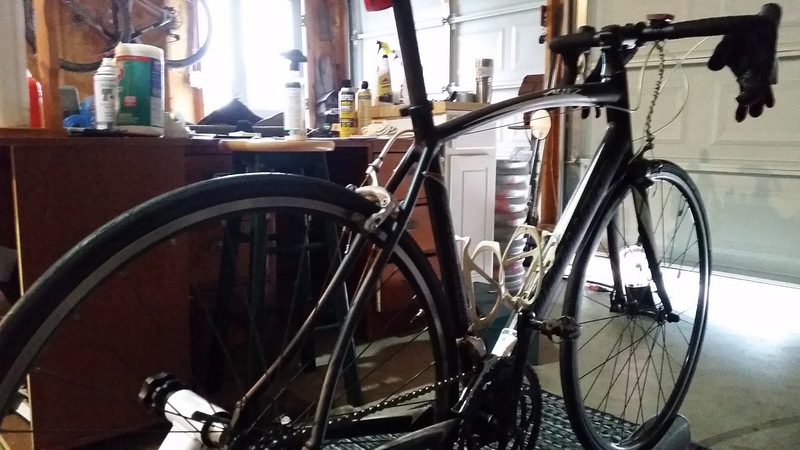 Don't get me wrong...I'm fortunate that I have a place to spin in the winter...but nothing can replace actually getting out and riding. 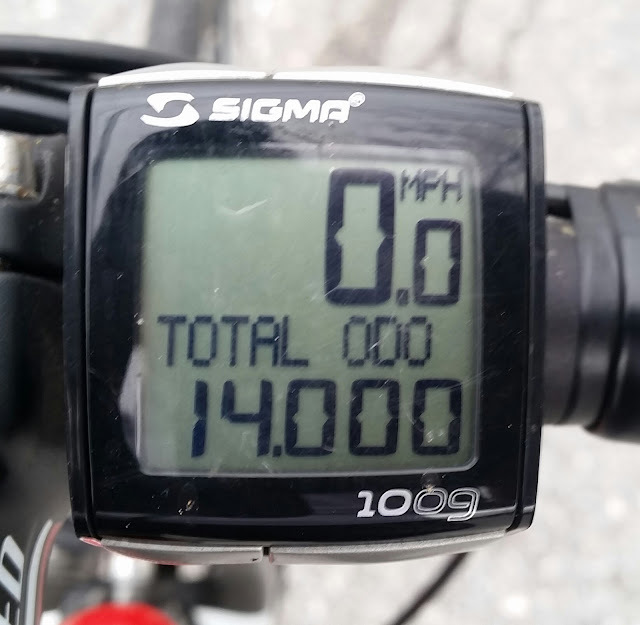 I was especially excited to get out and ride today because I was close to another milestone. 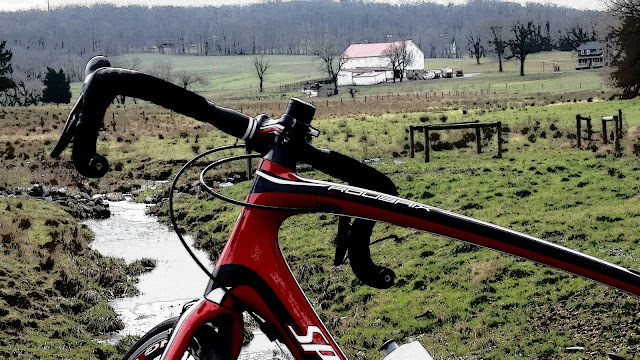 I needed to get at least 19 miles into today to pass 14,000 total miles ridden on my 2012 Specialized Roubaix. Heading out through Manchester I had decided to take a couple normal routes, but in the opposite direction that I typically ride them. It's amazing how something as simple as riding in a different direction can make ordinary scenery seem new. It is also never ceases to amaze me how clear my mind is when I am riding. I do some of my best thinking when I am on my bike. My creativity soars. I come up with most of my ideas and lesson plans for school while I'm turning my pedals. It makes me wonder if Mr. Jefferson did his thinking the same way. I can imagine him riding his favorite horse or hiking the woods surrounding Monticello...all the while coming up with ideas, thoughts, and beliefs that would, one day, become the foundation for a nation. "A vigorous body helps create a vigorous mind." I can buy into that. Note: All of the Thomas Jefferson quotes came from page 19 of THOMAS JEFFERSON: THE ART OF POWER by Jon Meacham.